Tardigrades, are commonly known as waterbears or moss piglets. These animals can survive in very extreme conditions, withstanding water temperature from zero to well above the boiling point. 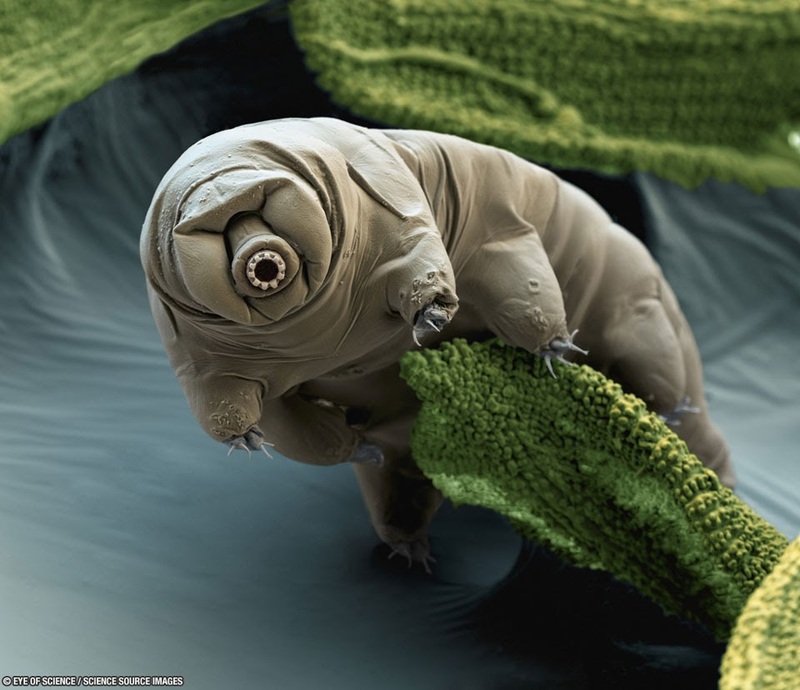 Tardigradescan be found in the deepest part of the ocean; they survived the vacuum of outer space and solar radiation, gamma radiation, ionic radiation, at levels hundreds of times that which would kill humans. They can also survive for a decade without water, by entering a state calledcryptobiosis. Their ability to withstand such extremes, which would kill other animals, is due to the use of a special sugar called trehalose. Turritopsis Doohmii, the so called "Immortal Jellyfish"
A tiny variety of jellyfish known as Turritopsis doohmii, or more commonly, the immortal jellyfish, has found a way to cheat death by actually reversing its aging process, according to National Geographic. 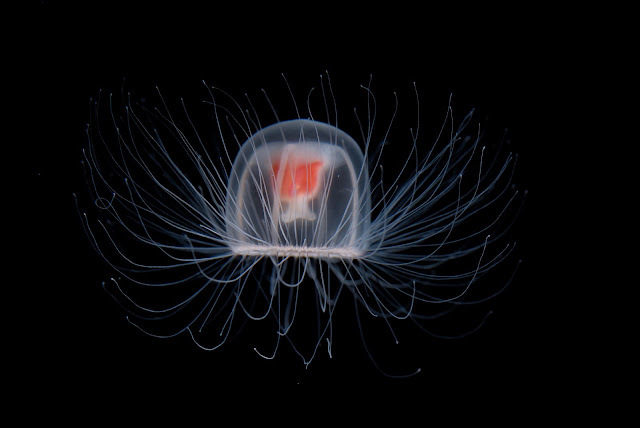 If the jellyfish is injured or sick, it returns to its polyp stage over a three-day period, transforming its cells into a younger state that will eventually grow into adulthood all over again. 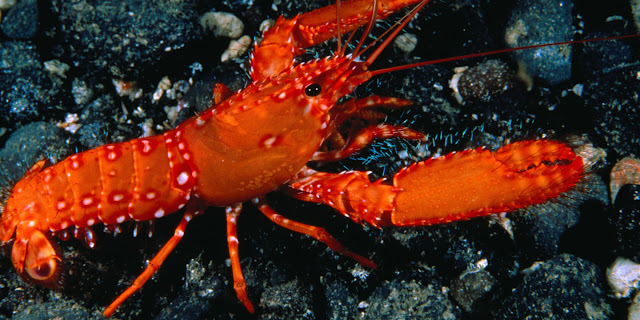 There is a debate among the scientific community whether these red ocean dwellers are biologically immortal; a common cause of death is disease, not old age, and unlike other animals, lobsters grow and reproduce until they die. One lobster captured off the coast of Newfoundland was estimated to be 140 years old, but most males survive into their early 30s while females live an average of 54 years, according to Smithsonian. 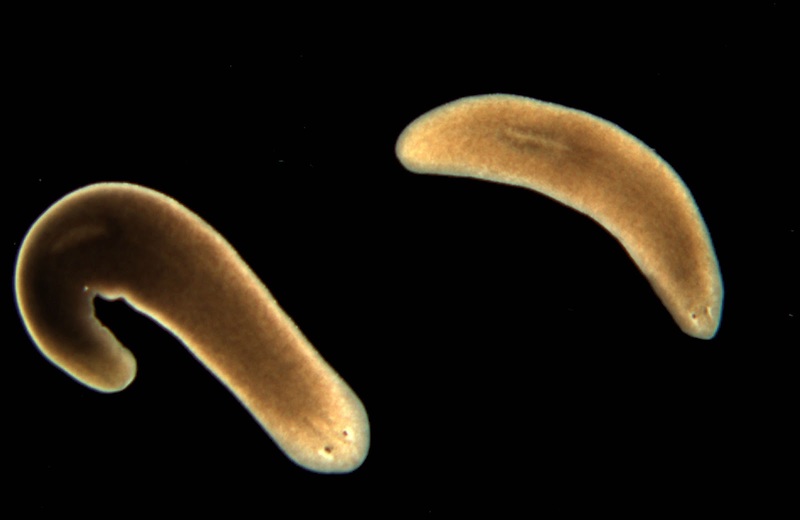 Planarian flatworms are masters of regeneration and an ideal model organism for researchers to investigate stem cells and their regulation. These creepy crawlers are famous for their regeneration abilities, where a worm cut across or lengthwise can form two separate worms. This apparently limitless regeneration also applies to aging and damaged tissue, allowing the worms to cheat death indefinitely, according to astudy at the University of Nottingham. Hydra magnipapillata, are fresh water polyps, do not show any sign of deteriorating with age and, if kept in ideal conditions, may just live forever. Like the above Flatworms, these animals can be cut in certain places and new parts will grow back. However, it is said the chances of a hydra living forever are low because they are exposed to the normal dangers of the wild -- predation, contamination, diseases. These creatures are only a couple of millimetres long though, with a tubular body type. They also have a sticky adhesive foot, but more importantly, they seem to be able to live forever, as they have an apparently limitless capacity to regenerate telomeres (which protect the end of the chromosome from deterioration). 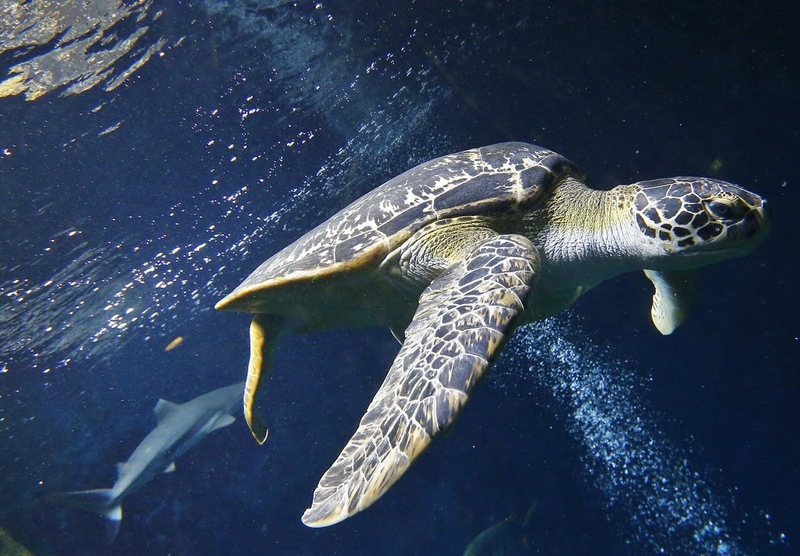 A green sea turtle (Chelonia mydas) swims in the aquarium of the Haus des Meeres ('House of the Sea'), in Vienna on June 27, 2012. Slow and steady really does win the race. Turtles have been known to live for centuries, and researches have found that their organs don’t seem to break down over time. There is evidence that Marion's tortoise (Geochelone gigantia) can live over 150 years. And, the Galapagos tortoise (Geochelone nigra) has been shown to reach 177 years. The New York Times reports that turtles might even be able to live indefinitely if they are able to avoid predators and disease.